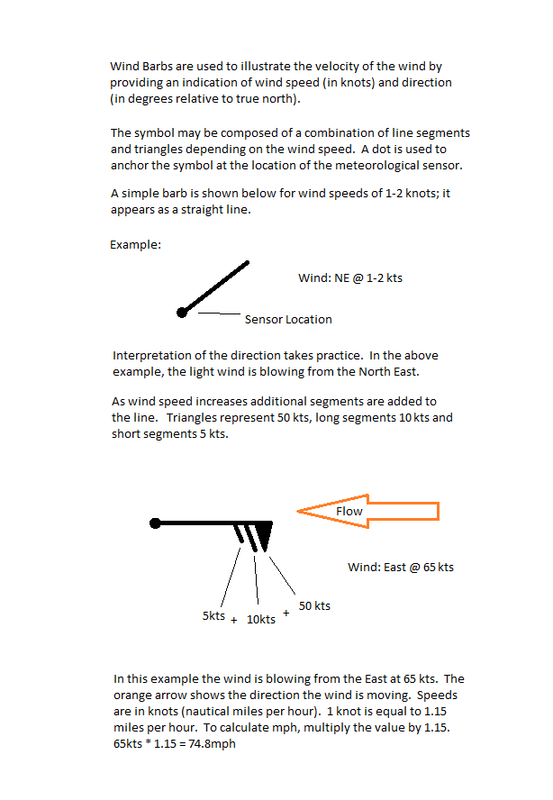 Wind barbs show the average wind speed in knots. Click on a barb for additional data from the sensor. Wind Speeds are a 10-minute scalar average and Wind Peak shows the highest value in the past 10 minutes. Weather data is updated every 60 seconds.